"We are an auto headache specialist!" 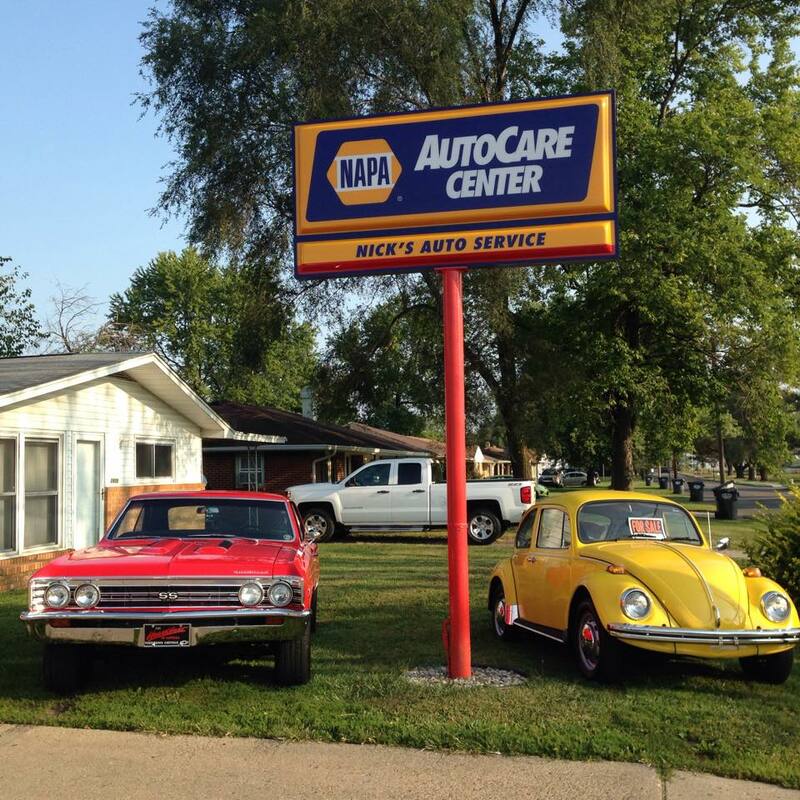 Since 1958, Nick's Auto Service has been committed to giving our customers more than they expect in auto & truck repair. We want to introduce you to our auto repair facility and the services that we are offering to you for your vehicle. Serving Madison County since 1958, we want your vehicle to remain as safe and dependable as it was when you bought your car or truck.... it's that easy! "Strive for Automotive Service Excellence!!" is our mission! Providing you with honest, reliable and affordable first class repair and services to keep your vehicle in new show room condition. We have qualified ASE mechanics who take the time to fully explain your repairs so you can make informed decisions that are best for you. We are family owned and operated, operating as your personalized auto repair and service facility, employing ASE certified mechanics with the latest and greatest in diagnostic equipment. Peace of Mind Warranty: We are a NAPA AutoCare Service Center & Repair facility providing you a 24 month or 24,000 miles, (whichever occurs first), limited parts and labor warranty on most repairs. Our written "Peace of Mind" warranty is valid nationwide. Use your NAPA Autocare Credit Card and your warranty is increased to 36 month or 36,000 miles. Premium Service & Premium Value for your money backed by outstanding customer service is what we deliver everyday! Start enjoying your car repair experiences knowing you are in the BEST Hands! 6-months no interest if paid in full on purchases of $199 or more* made with your NAPA EasyPay CarCareONE credit card at participating locations nationwide.